The best day of our lives, without a doubt. A beautiful first pregnancy, followed by an even more beautiful birth. As easy as my pregnancy was, the birth had it's moments of challenges to overcome, but mama and baby did it, with much credit given to my loving and supportive partner, standing by my side, every step of the way. It was Saturday morning, the morning where everyone in my family had something planned for the day, so naturally this would be the day that Axel would choose to be on his way. We sent papa off for an early morning exam to be taken for his work. It was then, thirty minutes after his departure, that I began having steady contractions, which increased in intensity and got closer together over the next two hours. Papa called to check up on me halfway through his exam. I played it oh so cool, not leading him to believe that we were any closer to go time. I knew he needed to finish his test without the thought of me being in labor on his mind. I waddled my way to the bathroom, where it was then that my water broke. I didn't know at the time if it was truly my water breaking, but I had my suspicions (we later found out that I was correct, my water did break). I called my doctor and the on call mid-wife calmly directed me to come into the hospital. Bags already in the car, my mom and sister drove me to the hospital (only after my mom had to frantically curl her hair and put on her makeup all before leaving, hehe, gotta love mama Hargrove). My contractions increasing at a steady pace, getting more and more painful/uncomfortable, I realized this was going to be it! Papa then called to inform me that he completed his exam. "Yay!" I said, "How'd ya do?" It was then that I informed him that we were going to the hospital and that he should just go ahead and head that way as well. Funny enough, we arrived at the same time, Papa and I. We got admitted into the hospital and from then on, it was a bit of a waiting game. My first initial "check" was a bit discouraging, if I'm being totally honest. I was just 1cm dilated. A huge sigh of disappointment came over me, the nurse realizing she had been the barer of bad news. She gave me encouraging words and we continued on. She tested to see if my water had broke, and like I stated earlier, it had. If you don't already know, when your water breaks, that's it! You're not going anywhere. 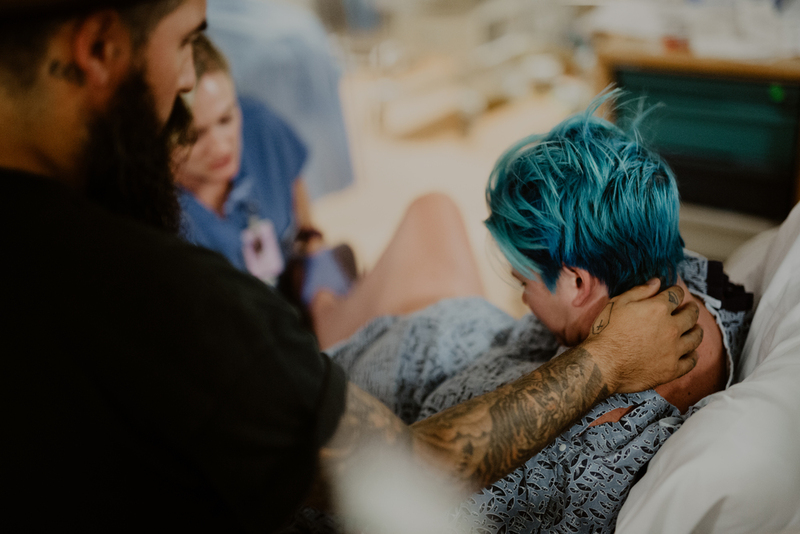 You're in the hospital until you're released after your baby is born. And the worst of it is, you're not allowed to eat of drink anything from that moment on, except for ice chips. I had my fill of those delicious ballpark ice chips, dreaming they were chicken nuggets or a large bowl of delicious fruit. Take my advice, EAT and DRINK something yummy before arriving to the hospital, no matter what! You'll instantly regret it if not, I can promise you that! Lesson learned, that's for sure! Okay, so an hour later, the nurse re-checked, giving me false hope yet again. I wasn't moving along quickly at all, with little dilation improvements. They put me on Pitocin, which speeds up the dilation process and increases the contractions (whew, that is an understatement, it makes the contractions unbearable, to say the least). At that point, after walking around the hospital, trying to move the process along, I got to the point where I just couldn't endure much more pain. I hung in there as long as I could, but it was that time for the epidural, that's for sure! 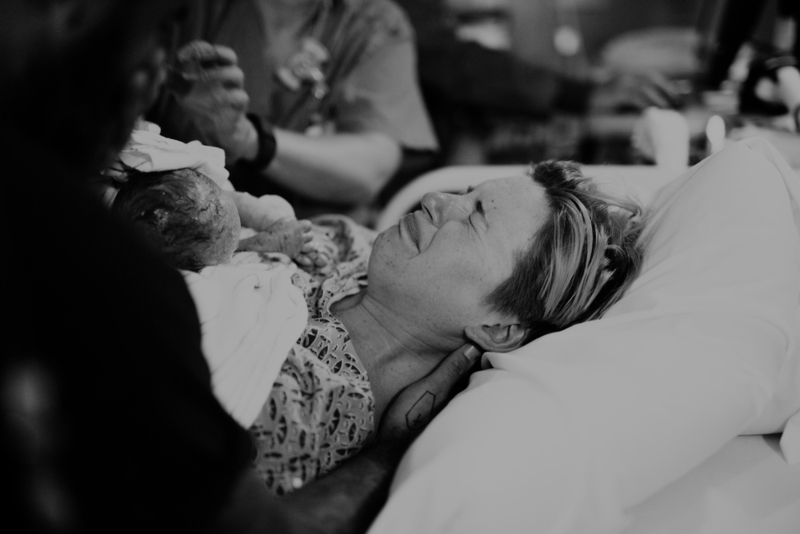 As uncomfortable as getting the epidural is, it's nothing compared to the pain that comes with heavy contractions. WOWZA! Immediately after the epidural, I was good and stuck to the bed! The pain subsided, for now. That is until I started to push. Now, before that came to be, my dear friend Jaquie arrived to take our labor and delivery photographs, which was an absolute dream come true. 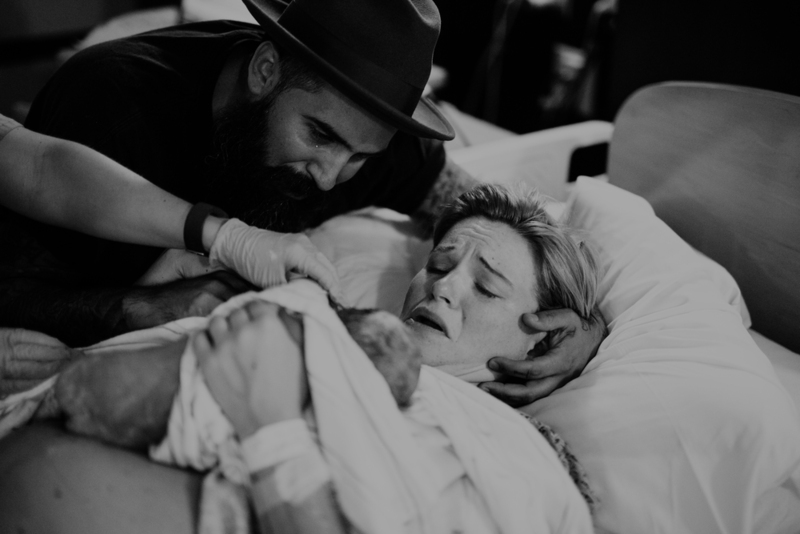 I knew she was going to do an amazing job, as her birth photographs and photography in general are just beyond beautiful, capturing the true beauty behind an event. Shortly after she arrived we had a bit of a frightening experience, as it showed on the monitor that I was having a contraction for a good solid five minutes, all the while, Axel's heart rate dropped. Basically what was happening was every time I had a contraction, his head was being squeezed because of the positioning of his head, which caused for him to hold his breath and lose oxygen. The incredible team of nurses at Northside Hospital - Forsyth did an amazing job of keeping me calm, while doing what they needed to do to regain a solid heart rate from Axel. As an oxygen mask was applied, I began to break down with concern. All I knew was that I wanted to know that my baby boy was okay. Papa remained calm, standing by my side through it all. He later informed me that he sneaked into the bathroom for a quick cry after the scare, keeping his fear hidden from me so that I would remain calm and maintain my strength through the birth. The time finally came to begin pushing at around 1am! It took some fifteen hours to get here, but we were finally here. It was time to meet our son. I pushed, pushed and pushed for an hour and fifteen minutes. There were a few moments where I wondered if I was going to be able to get him out of me. His head was definitely proving to be a challenge to get out! There was a time during the delivery, after a series of pushing from deep within, that I asked the nurses if he was "sucking back up" after every push. The room filled with laughter as everyone thought it was a hilarious remark. I, on the other hand truly believed that he was indeed, "sucking back up". An hour and fifteen minutes into pushing, with doubts that I would be able to push any longer, our little boy, Axel Hawk Perez, arrived with eyes wide and full of instant wonder. He was instantly placed on my chest and all mama and papa could do was cry tears of absolute and pure joy, as our beautiful baby boy was finally here. Our love is like no other, and our love for our son is something that words can't possibly begin to describe. Axel, my baby, you are the song that we sing, the air that we breathe, the life that we live. We love you to pieces. The moment you arrived in my belly, we were instantly in love, and the moment you arrived in our arms, our love grew exponentially and will continue to grow each and every day on this journey through parenthood. God is good and we are blessed! 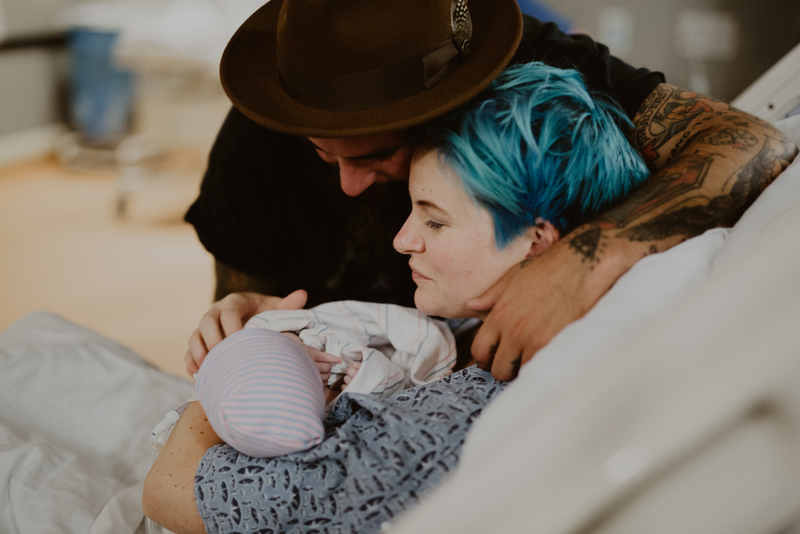 To view our full birth story click the button below! Enter your EMAIL and enjoy this moment with us!